Turkish Talmudist; lived at Safed in the seventeenth century. Wolf ("Bibl. Hebr." iii., No. 595) and Fuuml;rst ("Bibl. Jud." i. 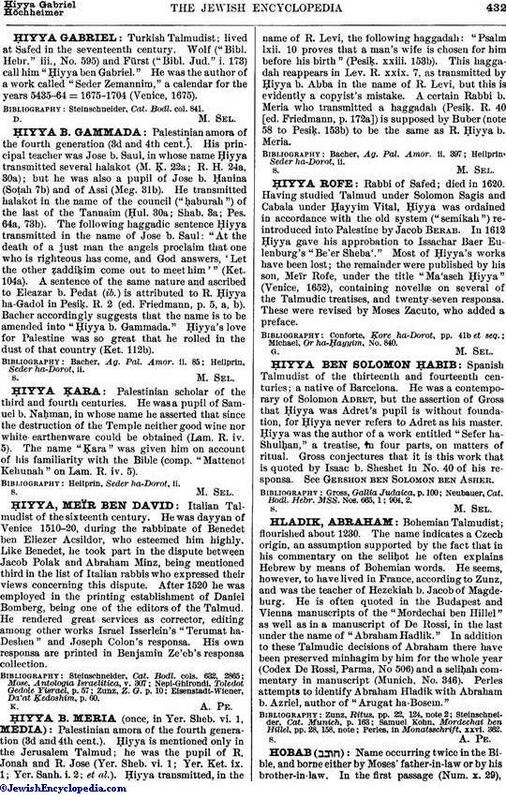 173) call him "Ḥiyya ben Gabriel." He was the author of a work called "Seder Zemannim," a calendar for the years 5435-64 = 1675-1704 (Venice, 1675). Steinschneider, Cat. Bodl. col. 841.